The premises comprise of a large high bay warehouse building together with ancillary offices to the front. The main structure is of a rib steel wall, steel portal frame with an eaves height of c.27 feet (c. 8 metres) and suitable for various purposes i.e. films, leisure and storage and is of a concrete finish. The unit benefits from excellent natural lighting from translucent roof panels as well as electric lighting throughout. Offices are of brick and concrete construction and provide accommodation on ground and first floor with extra storage on the second floor. The warehouse and offices are heated by oil fired boilers. The subject further benefits from external warehousing of c.7,400 sq ft with electric and water supply. 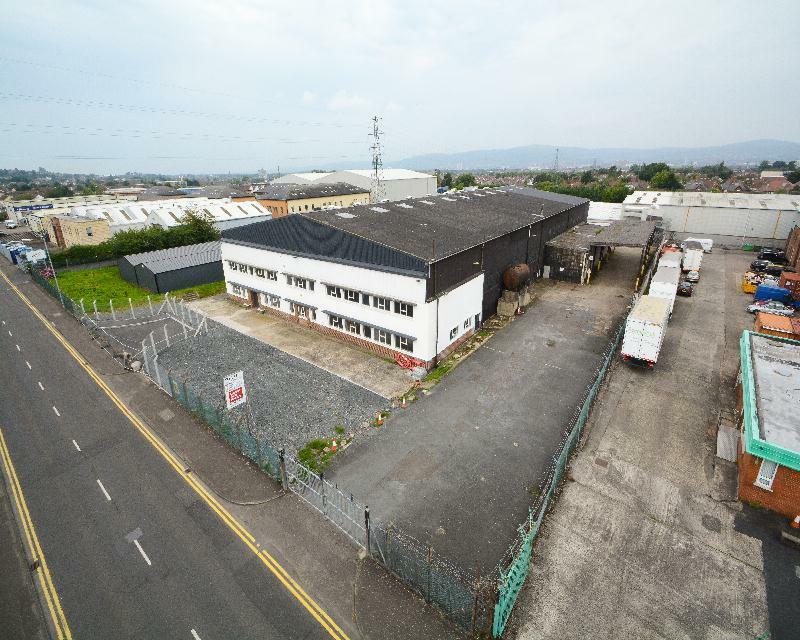 It is set on self contained site of c.2.26 acres with good circulation space for articulated lorries and parking.